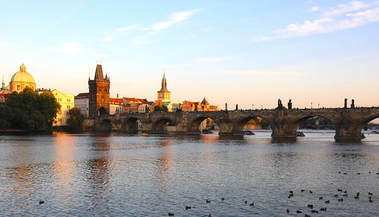 We will meet in our centrally located hotel right in the center of Prague, the heart of Bohemia. Called the ‘city of 100 spires’ this preserved capital is also the home of colorful churches, baroque buildings and a medieval clock. All this awaits us in the beautifully preserved capital of the Czech Republic. We will start with an orientation walk of Prague, which includes Wenceslas Square, St. Vitus Cathedral, and Prague Castle. Join us after our walk for a welcome drink and introductions. Later we will walk to dinner for delicious Bohemian food and the finest beer! ​Orientation walk of Prague/ Introductions & Welcome drink/ Dinner together/ Overnight Prague/UNESCO World Heritage Site (the Historic Centre of Prague). We are up early for our guided walk of Prague. We will stroll over to the astronomical clock and down to the Charles Bridge. We will be able to get some great pictures as we take in this bridge that has been taking people across the Vltava River for over 600 years. Our walk then continues up to the Hradcani Castle, the Cathedral, and the beautiful winding streets of Prague. The rest of the day is yours. 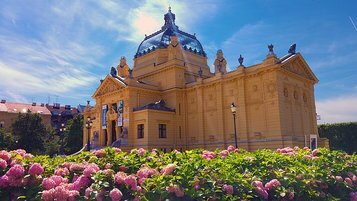 Maybe you would like to see the The Průhonice Park or other sites? We will be on hand to get you there! Dinner on your own tonight. Maybe you would like to experience a traditional Czech beer hall (some people claim that Pilsener is the best Czech invention ever). We’ll be on hand for recommendations for the best beer halls to be had. 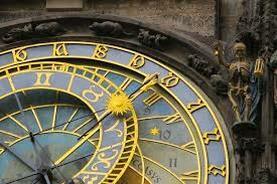 Breakfast/ Guided walk of Prague/Astronomical Clock & the Charles Bridge/ Hradcani Castle/ Cathedral/ Overnight Prague/ UNESCO World Heritage Site (the Historic Center of Prague). We’ll board our plane for the quick trip (1 hr 25m) to Budapest, a UNESCO World Heritage City. We’ll drop our bags off at the hotel and you can freshen up before we head out for a great afternoon of our guided tour by a local, on the castle side (Buda) of the Danube. We'll include a talk about Buda Castle and the place it held in world history. Budapest is also home to some classic restaurants offering superb Hungarian fare. Later we will dine together while enjoying the local wines this region is known for. ​This morning is yours for the taking. Sleep in a little bit, go for a walk in a nearby park or sit in a sidewalk cafe and people watch. 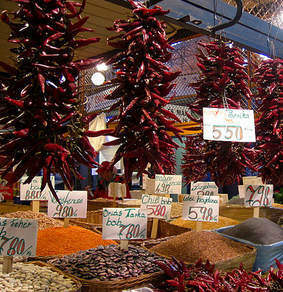 Join us in the afternoon as we take our private walking tour of Pest. We'll walk the Danube promenade with views back to Buda Castle. 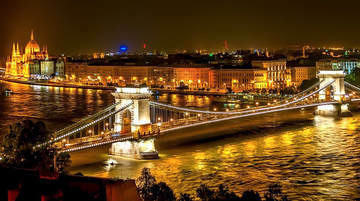 We'll see the Chain Bridge, the Central Hall market, Heroes' Square, and so much more. We'll end our walk at the New York Cafe at the Boscolo Budapest hotel where you may partake in the afternoon tea if you wish. Dinner is on your own and during our walk we will point out some stunning restaurants to try for yourself! Or maybe you would like to book a Danube river cruise dinner? We'll help you pick from the best ones. We are off to Croatia this morning by bus. Along the way we will have a short stop for lunch. We will hit Zagreb, the capital, in the afternoon, where a local guide will give us a walking tour of this lovely city. 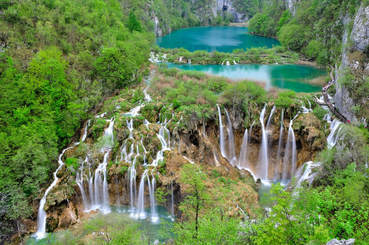 We will be off later in the afternoon for the Plitvice Lakes region, a stunning area, a national park and a UNESCO World Heritage Site. As we settle into our lodge, you can have a drink on the terrace or go for a walk nearby. Join us later as we enjoy a sumptuous dinner together with local wines. ​We are up very early for our tour of the Plitvice Lakes National Park, the home to many lakes, waterfalls, and stunning natural scenery. Join us for a picnic lunch midday. We are off later in the day for the city of Zadar, right on the Dalmatian coast on the Adriatic sea. After we visit the famous ‘sea organ’ and the ‘monument to the sun’ down by the seaside, we will walk to dinner together for local specialties. Today we have a private tour of Zadar. We'll see the Roman Forum, the 9th century Byzantine church of St. Donates, and other memorable parts of the town. Lunch on your own at any of the great spots in town. Then the afternoon is yours. 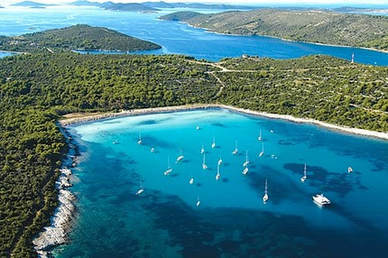 You can take an optional cruise to the Kornati Island, a national park, to see the unspoiled area off the coast of Zadar, or hit the nearby beaches. Dinner on your own with recommendations from us. 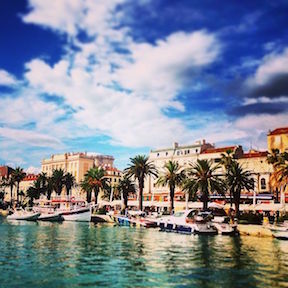 We take off inland for our trip to the small island town of Trogir, a UNESCO World Heritage Site and a small quaint town. 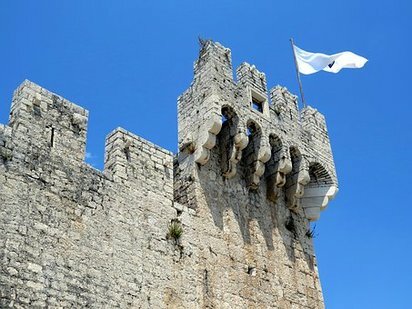 Trogir (called Trau by the Venetians) is a lovely walled city boasting both Romanesque and Renaissance buildings. Our guide will be on hand to take us around and then show us some spots for lunch on your own. Afterwards, we are off to Split with its walled city, Roman palace, and palm-lined streets. We’ll delve into the role this city played in Roman history. We will tour the Diocletian's Palace, erected by the Roman emperor in the 4th century. Once home to thousands, it still has more than 200 buildings within its enclaves. Then we are off to the cathedral of St. Domnius one of the best, standing Roman ruins in existence today. For those who want we can climb up the belfry to catch the sites of the town below us. 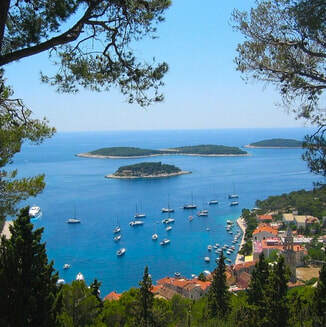 In the afternoon, we will head to our ferry to the lovely island of Hvar, renowned for its beautiful harbor town and wineries in the hinterland villages. Be sure to sit seaside right outside of our hotel for cocktails as the sun sets. Join us later for dinner together in a quay-side spot that we love! Join us as we take a walking tour of the fortressed town of Hvar town, The site of an ancient Illyrian settlement (500BC). We will then take to the road to explore some of the outposts of the island, with stops at a local winery for a tour and a tasting. After our tour, you can have lunch on your own with plenty of recommendations from us. In the afternoon you can do several things. Shop, sit in a seaside cafe, go for a swim just down the seaside. Hvar will be yours to explore. We will be on hand to recommend a restaurant for dinner on your own. 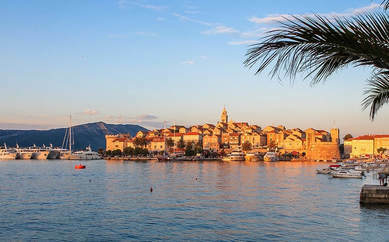 ​We are off by boat to the charming island of lovely Island of Korcula for a two night stay. Full of vineyard and olive grove delights, it offers the finest in island living. Said to produce the best white wines in all of Croatia, we will sample them for ourselves to see. Join us just before dinner as we have a local cook show us how to make hand rolled Zrnovo makaroni, a Croatian specialty. Afterwards we will enjoy our work during dinner together. This morning we head out to some of the lovely small villages of Korcula. 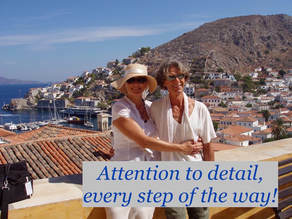 We will have a local guide that will take us around so that we can see the highlights that this island has to offer. We will stop by one of the famous wineries of Korcula and state test their wines and partake in a little charcuterie. We will be back in town later for shopping in the medieval streets of the town. Grab a drink at any of the sidewalk cafes in the winding cobblestone streets. All in all a great day for exploring. We take to the seas again by ferry boat today to chart our course for Dubrovnik. After we check into our hotel, we will have a tour of this town, including a walk on the walls. Join us tonight for our farewell dinner. We say goodbye this morning in Dubrovnik. You can stay on for a few more days to relax or go on to other parts of Europe. Your choice! Trip Cost-per person with double occupancy. A deposit of $400 is required to hold a spot on this tour. The remaining deposit of $600 is due by June 1 1019. The remaining balance of the trip 8 people-$4590 / 10 people $4390/ 12 people $4290 / 14 people $3990 will be due by June 25 2019. Up until that time all deposits are fully refundable. After final payment has been made, no refund is possible. * Includes one checked-in bag 20 kilos max and one carry-on 8 kilos max. All other luggage costs to you. Note- Our tour starts in Prague. We recommend that you arrive one day before our tour and overnight there. We can help with hotel reservations for our starting hotel for that extra night if you wish. 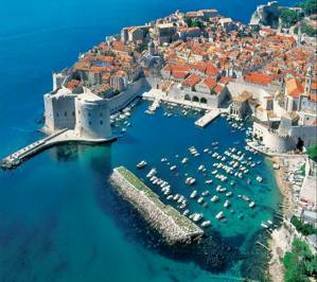 Our tour ends in Dubrovnik and your hotel is included for that night. Your flight back to the States should be for the following day. Note- Your best bet is to arrive in Prague and depart from Dubrovnik (American Airlines has a new route to and from Dubrovnik from Philly for 2019) on your flight from and to the States. We can help with recommendations for airlines.